Heat oven to 400°F. Grease large dark or nonstick cookie sheet with shortening or cooking spray; set aside. In 10-inch nonstick skillet, heat oil over medium-high heat until hot. Add tomatoes, 1/2 teaspoon roasted garlic and the salt. Reduce heat to medium; cook 10 to 15 minutes or until tomatoes are thickened, stirring frequently. Set aside; cool slightly. 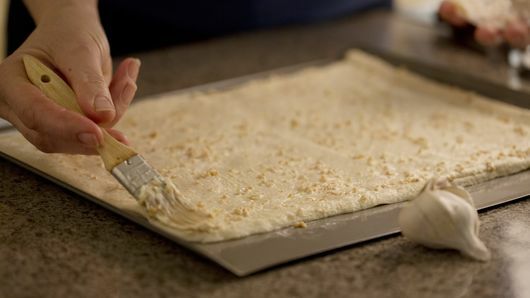 Unroll dough on cookie sheet. 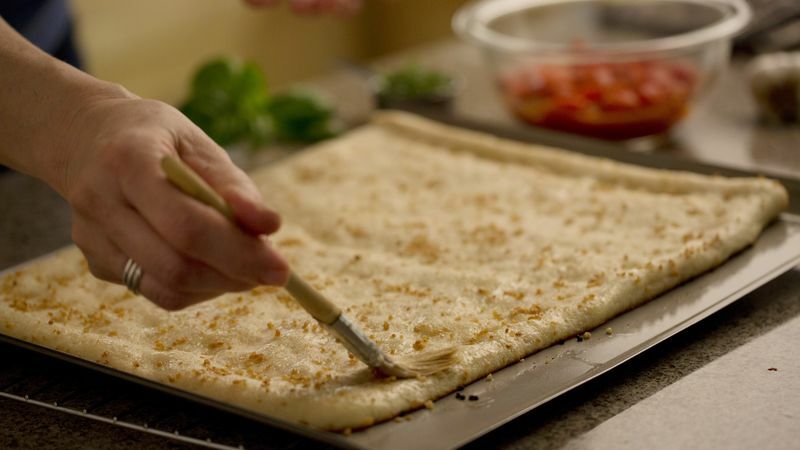 Press out dough to 15x10-inch rectangle. In small bowl, mix butter and 1 tablespoon roasted garlic. Spread over dough. Bake 7 minutes; remove from oven. 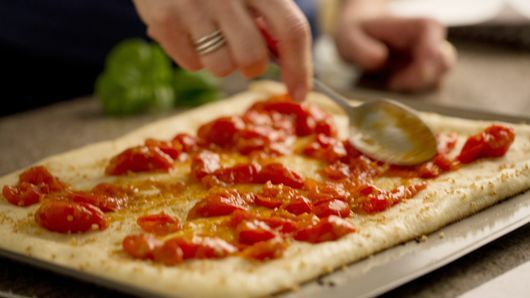 Evenly distribute tomato mixture over partially baked crust. Top with mozzarella cheese. Bake 7 to 9 minutes or until cheese is melted and crust is golden brown. Sprinkle basil strips over pizza before serving. 1/8 teaspoon garlic powder can be substituted for the roasted garlic in the tomato mixture and 1 teaspoon garlic powder can be substituted for the roasted garlic in the butter mixture. 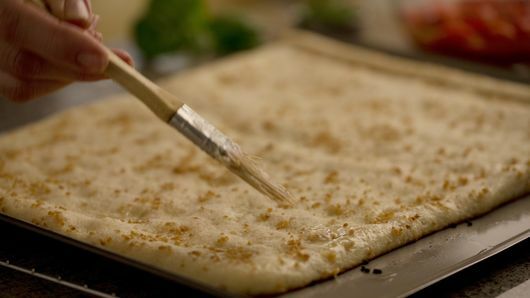 Shredded mozzarella cheese can be substituted for the fresh mozzarella cheese, and this pizza will still taste great.